I read this article and found it very interesting, thought it might be something for you. 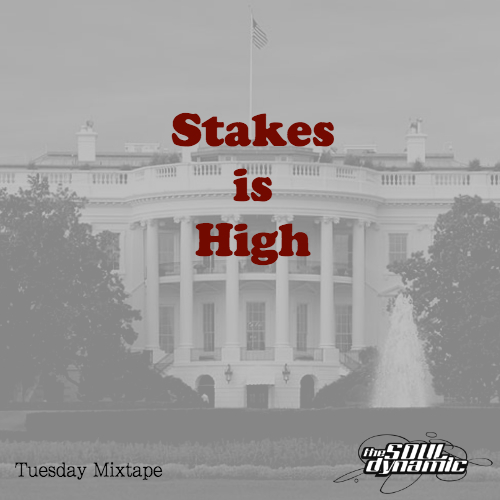 The article is called “Stakes is High” | The Tuesday Mixtape and is located at https://www.thesouldynamic.com/stakes-is-high-the-tuesday-mixtape/. About a week ago…the world change. Well, maybe just a little bit by some standards. With all that’s been going on in the world the last seven days we wanted to help you find your escape. When stress and noise fill your world, music, is always there to help lighten the mood. This week’s mixtape, Stakes is High, works smoothly against the grain. Buttery, if not supple to your ears with a hint of bounciness to add texture to the mix. Bombastic at its opening with subtle notes of high-hats and vinyl static to help carry you to the melancholy finish. This week’s about taking a deep breath, understanding the work that needs to be done and making it happen. Click here or above to listen to our Mixtape via Spotify. Our weekly Tuesday dive into what tracks you should be listening too. No discriminating here, we bring you everything from dirty house to old school soul, Joey Badass to Calvin Harris and everything in-between. Into festivals you say? We properly prep you for those with our annual trips to Coachella, Governor’s Ball, WMC and more!